It’s a sign that things are just getting started. It’s a sign that one man who cared can make a difference. It’s a sign that David Glasser’s legacy of love is destined to have a permanent effect on the kids who live in Laveen….and beyond. 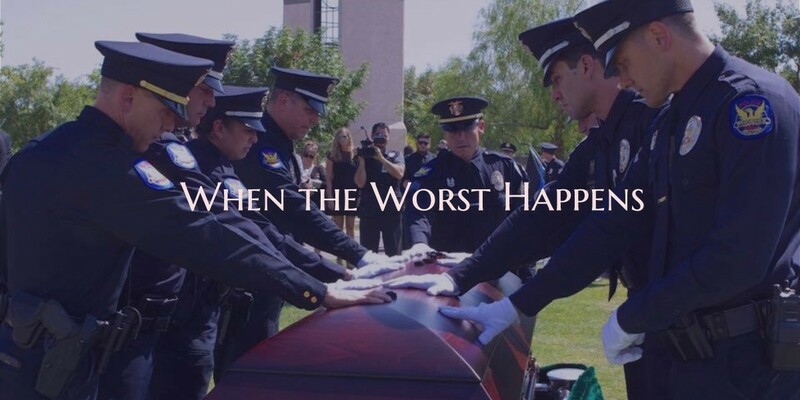 David Glasser, my son, was a Phoenix Police Officer who was killed in the line of duty on May 19, 2016. He loved being a police officer and he committed his life to helping make the streets of Phoenix a safer place for you and I to live. He wanted to make a difference by working as one of the good guys, making our communities safer for our kids to play in. He asked to work in the highest risk areas of Phoenix in order to protect you and me from the dangerous people who prowl the streets of those neighborhoods. Everyone who drives by this plaque in Laveen is reminded of the day that the City of Phoenix lost a hero. Last year, the Laveen Elementary School District decided to honor Davey and his memory by naming the athletic field they were building after him. What a great idea! Davey loved sports – all of them. He was a huge fan of the Cardinals, the Diamondbacks and all of the ASU sports teams. The Cardinals are having a really tough season this year so far and, if Davey were here, he would be talking loud and long about ‘fair weather fans’. Loyalty was a huge issue for Davey. Davey played baseball and basketball, focusing on basketball as he got into high school and onto the varsity team. He knew a lot about sports and planned to become a coach after he retired from the police department. That’s one of the many dreams which will never come true. It’s a beautiful complex at 5001 West Dobbins Road in Laveen. Stop in sometime and take a look. There is not a more appropriate way to honor Davey than by naming a sports complex after him. And there is no better place for it than in the middle of the community he died serving. Kids playing sports on these fields for many years to come will be reminded of a Police Officer who cared enough to work hard in their community to help keep them safe. His love for his community lives on here at these fields. It’s a sign that great things are going to happen here and it’s all just getting started. Just another excellent reminder of Officer Glasser. God bless all of you for the loving reminders of this wonderful man. Love you.